The determination of waterpark feasibility is not always as cut and dry as the determination of economic viability. 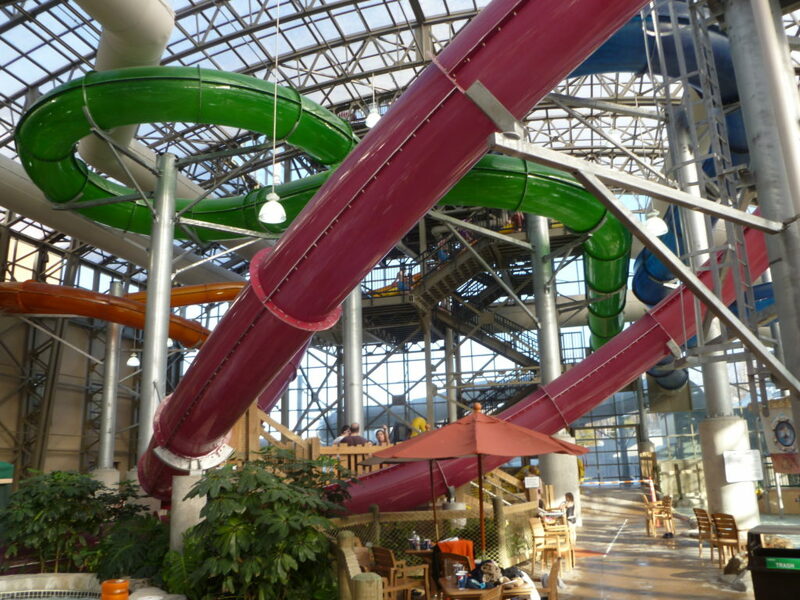 In drought stricken locations, developers face additional challenges at a time when water is scarce and many see the use of it at a waterpark as a frivolous waste. H&LA’s David Sangree and Eric Hansen talked with Aquatics International about developing waterparks in a drought and some of the key takeaways gleaned from the recent drought conditions in California. uilding a waterpark is never easy. But it’s particularly difficult when water is scarce. Just ask the people who tried to break ground on projects during California’s historic drought. They faced strong opposition, either in the form of skittish investors or the public’s misperception that waterparks disproportionately waste water. Though it was a difficult period, the unrelenting dry spell that parched the Golden State offered some valuable lessons. Here are three key takeaways. “Many customers are under the impression that the water is not recycled — rather it’s put in and drained constantly so that there’s a constant loss of water,” says David Sangree, president of Hotel & Leisure Advisors in Cleveland. That explains the uproar over proposed projects when water is at a premium. And yet most people don’t think twice about the lush green fields where their kids play soccer. While the industry knows that waterparks use relatively little water compared to other facilities, such as golf courses, policy makers and the general public aren’t as clued in. The onus falls on developers to combat this mistaken reputation. So, when proposing a project, come prepared with facts. “On a day-to-day basis, an aquatics facility would use 36% less water than a public park would … and 82% less than a medium-density, single-family housing unit would on the same-sized site,” says Justin Caron, principal at Aquatic Design Group. The Carlsbad, Calif.-based firm arrived at those figures after conducting a study to assure officials that a proposed aquatic center in arid Riverside County (Calif.) would serve as a water-wise alternative. That’s how the firm, along with RJM Design Group, got the go-ahead to build The Cove, a publicly owned facility in Southern California’s Jurupa Valley. This was in 2012, one year into the Golden State’s epic drought. “They knew they were going to get a lot of public pushback on this,” Caron says. But the study helped overcome apprehensions. “Education is the first step in a drought-conscience area,” he adds. Public officials also should highlight city efforts to curb water use overall. That’s how Linda Smith, assistant manager at the City of Dublin, Calif., tried to allay concerns when a $35 million aquatics project called The Wave forged ahead even after the governor declared a drought emergency. She explained that, in recent years, the Bay Area city’s water district had invested significantly in a recycled-water treatment center. By 2016, 93% percent of its parks were irrigated with non-potable water, Smith says. Officials even invited the public to fill up tanks with recycled water so they could maintain lush lawns. “That allowed us to keep things green in Dublin when everything else was browning out,” Smith says. Signs throughout the city declared Dublin a water-wise city. But to critics, the big waterpark under way indicated otherwise.